LATEST UPDATE dated 17.04.2019 : Good News !! Official Answer Keys for UP JEE B.Ed Entrance Exam 2019 will be available on 25 April, 2019. Read full news for UP B.Ed Entrance Exam Answer Key 2019 from Image below..
MJPRU Rohilkhand University has conducted Uttar Pradesh Joint Entrance Examination (JEE B.Ed) 2019. This Exam was conducted to take admission in Two Year B.Ed Programme. Every Year this Entrance Exam conducts for Bachelor of Education (B.Ed) Course in various Government, Private, Aided Colleges. After getting Good Rank in this JEE B.Ed 2019 Exam, Candidates will be able to get Admission in Good & Desired Colleges. 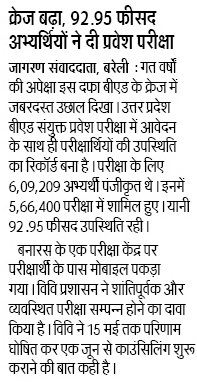 Rohilkhand University conducted B.Ed JEE 2019 Exam on 15 April, 2019 all over the state. Candidates who appeared B.Ed Entrance Test 2019 on 15th April, 2019 must be looking for Information of up b.ed answer key 2019. Answer Keys for JEE B.Ed 2019 Exam will available for Download soon. Candidates will be able to download B.Ed JEE Set wise & Shift wise Answer Keys from the website (www.upbed.nic.in). At First Visit Official Lucknow University website (http://www.lkouniv.ac.in/). 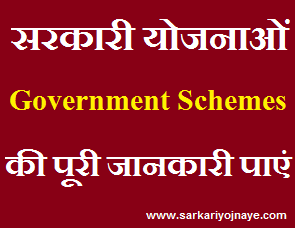 On the Home Page under JEE B.Ed 2019-21 Section you will find Link to Download Answer Key 2019 Notification. On Clicking that Link you will able to download notice & regarding Objection Date. Under B.Ed Admission 2019 Section of Home Page, Link to Download B.Ed Exam Answer Key will available. A pdf File will be opened. in that pdf file Shift wise & set wise up b.ed answer key 2018 will be given. You can Download that pdf File or take print out to match it with question paper. Lucknow University has uploaded Answer Keys for UP B.Ed Joint Entrance Exam. UP B.Ed JEE Result announced on 27 April, 2018. Check Your Result & Download Answer Keys from the link given below…. UP B.Ed Session 2019-21 Admission Aspirants need to have regular watch on Lucknow University Website regarding Latest Updates of UP B.Ed Entrance Exam 2019. You can Bookmark this Page (CTRL+D) to get Latest Updates regarding UP B.Ed Entrance exam answer key 2018. Can u plz give me question paper of this year UP B.Ed entrance exam? Hi Ankur, Lucknow University ne pehle result announced kar diya hai. Check Result from given link..
Government College Kam Rank walon ko milega. Kitne marks aa rahe hai aapke ? ?